Many of us take pride in our cars; they are the way that we can best present ourselves while on the road. Aside from aesthetics, it also makes sense to keep our cars in good shape so that they last longer. Even simply washing and drying your car at home will eliminate grime and make rust and other deterioration less likely. When you have a clean, attractive car, getting into it and driving will seem like a joy, rather than a sad reminder that you really need to clean it out and spring for some improvements. If you are looking for easy ways to enhance your car, here are some suggestions that will get the job done easily. If you own a truck or other heavy-duty vehicle and want to embrace the Southern California Motocross culture, then you should consider purchasing some eye-catching wheels. Brands such as Moto Metal offer stylish, tough chrome wheels that represent the perfect union of form and function, and are appropriate for both off-roading and towing. 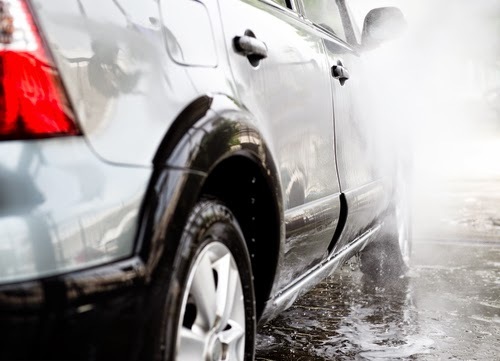 Rather than just washing your car off at home (which is still a good idea, by the way), every so often you could invest in a premium full service detailing that involves exterior wax and polish, a rust inhibitor, and wheel and undercarriage cleaning, as well as interior vacuuming, air vent cleaning, carpet shampooing, and window washing. From the floor mats that you don't have to replace as soon to the air conditioning that doesn't break down, having your car cleaned by professionals is always a sound choice. You spend a lot of time in your car, so why not really make it your own? While you are not technically supposed to have dangly things hanging from your mirror, there are many other ways to spruce up the space. For one thing, you can get a themed sunshade, which will keep your car cool in the summer and reflect your unique personality. Colorful steering wheel covers, seat and seatbelt covers, car cushions, and even dash mats can complete the picture. Your license plate doesn't have to be all about business. If you're up for a trip to the DMV, you could opt for a vanity plate with about six or seven characters, depending on the state. Choose anything you like, from a pet's name to a favorite hobby, but remember to come up with different spellings and alternatives in case your first choice is already taken. You can also easily get unique license plate frames proclaiming your favorite sports team or even make your own! Improving your car has never been easier! With the many customized options on the market and easy access to things like high-performance wheels through the Internet, your car can look good and work well for years to come.